Brunette woman in a vintage wedding gown running off into the sunset along a Southern California beach. Beautiful dark haired girl with double exposure of vibrant green moss and water. Collaborative work with makeup artist Abbe Johannes at Discovery Park; white witch standing in a dark pool of water. A beautiful woman reaching out to her own reflection in a snowy river. Beautiful young woman with long hair in explosive movement. Ashley Dowd wearing Michelle Hebert at Latourell Falls in Oregon. Girl in a green winter coat running through powdery snow. A girl living in the woods hunched over tree roots. Brunette woman in vintage nightgown standing by a river with fallen leaves all around. 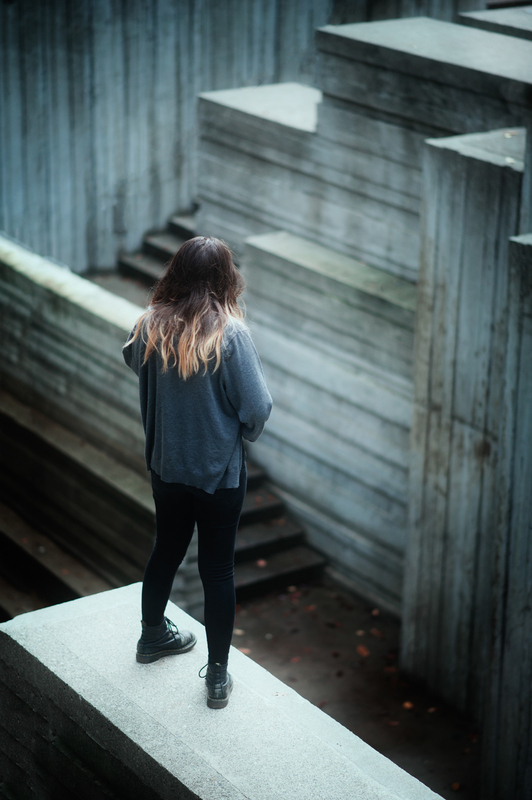 A girl looking out on a maze of stairs. A beautiful young blonde woman in a glow of light holding an ancient sword while standing in a vibrant green lake. 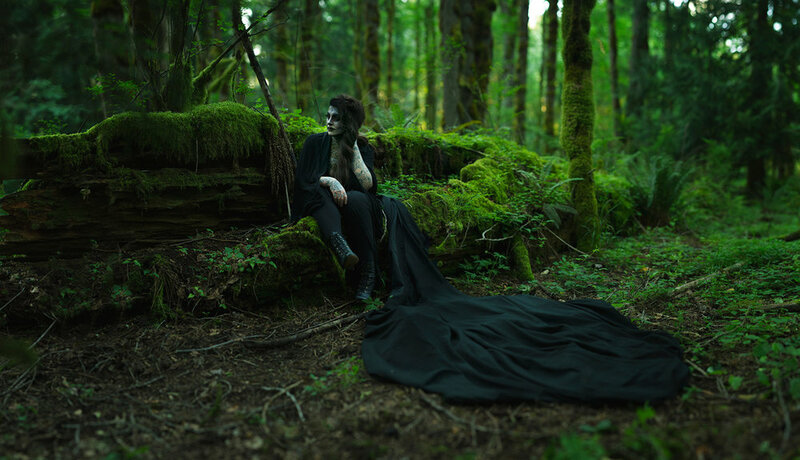 A ghostly woman wearing a long black cloak sitting on a moss covered log in a forest. A beautiful young redhead girl holding a fallen winter leaf. 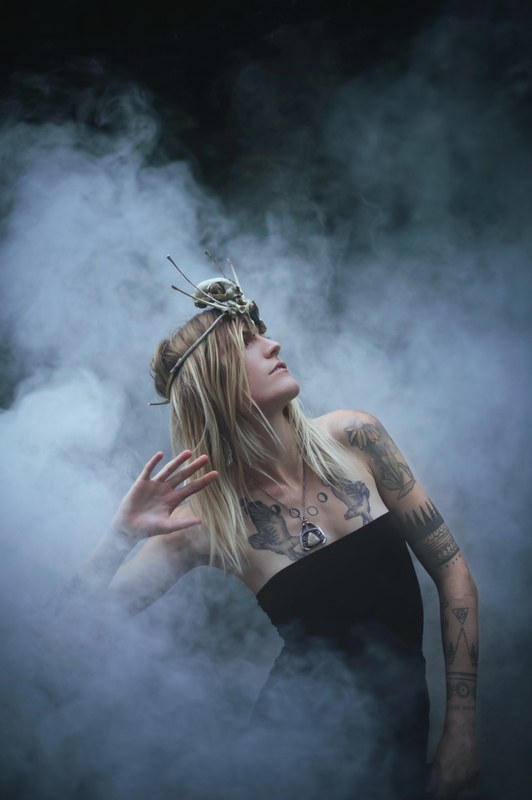 A dark queen wearing a cat skeleton crown surrounded by smoke. A pale, blue haired woman creeping through the forest searching for her next victim. A ghost bride stands in the corner of her abandoned home. A young woman sits on a wet staircase with dirty knees, contemplating loss. Maria Palermo, captured by Kelsie Taylor Photography, standing in a flurry of snow. A blonde woman in a hooded dress overlooking a dystopian land. Model Ashley Dowd, wearing a dress by Michelle Hebert, captured by Kelsie Taylor at the 500px Photo Walk in Portland. 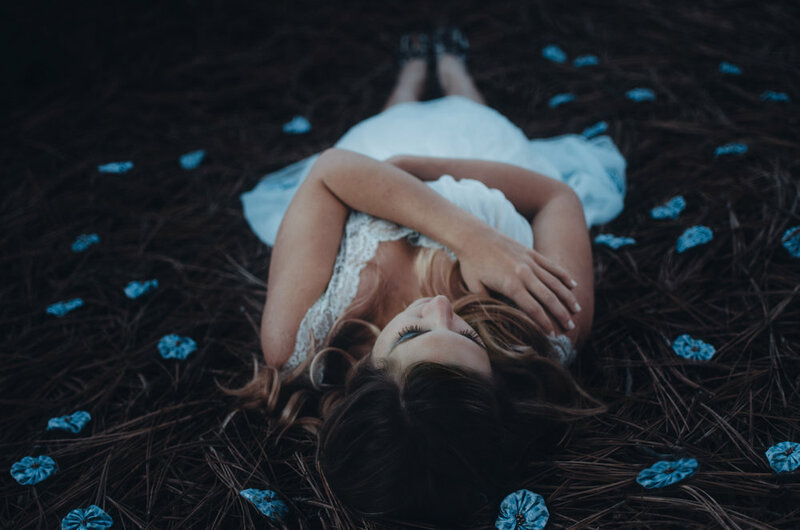 A young bohemian woman wrapped in a blanket in a field, captured by Seattle photographer Kelsie Taylor.